George Soros-An Instrument Of Satan? – I Am Not Ashamed Of The Gospel Of Christ! 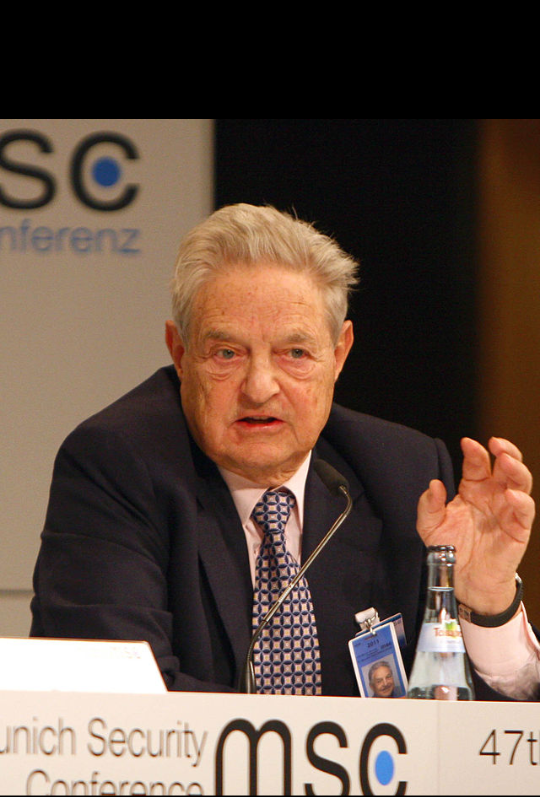 Home › Advocacy › George Soros-An Instrument Of Satan? George Soros-An Instrument Of Satan? Let’s start by examining what the Bible says about Satan. First, Jesus tells us that Satan is the father of lies. (JOHN 8:44) Not only is he a liar but a murder, and the Father of chaos and confusion. He is the accuser of the brethren and leaves nothing but chaos and confusion in his wake. He makes vengeance, and sin to spread, he is a master at greed. We see in Genesis that he was the most cunning of all. We know that he offered the world and it’s wealth and Kingdoms to Jesus, and He rebuked him. And in Second Corinthians 11 we see that he can even disguise himself as an angel of light. Which he did when Mohammed received his distorted visions from what he described as an angel, but that’s another post. You get the idea. George Soros is a vile man, whom I have written about many times. I will provide links at the end. When I first wrote about him 4 years ago we were labeled as conspiracy nut jobs. At that time information about the “man behind the curtain” began to surface. He is a Hungarian Jew, and his clandestine activities against his own people is the first clue. This man has brought entire governments down, he broke the bank of England. And now his billionaire fund “Open Society” is working here in America to bring us down. The gates of hell have unleashed it’s brightest demons to crush the people of God and the peoples elected President. Not conspiracy any more. Haven’t you wondered about why Nancy Pelosi is crazier than before?? She is a friend of Soros. Soros was obamas handler and puppet master, it’s truth not sensationalism or fiction. He has poured billions into stock markets to control the money and World Bank. His “Open Society” has fingers in every country in the world, even the UN and our own government. He has poured money into politicians pockets and now his new world order that was so close is under threat. He is not going down without a fight. A fight backed by Satan. That’s not even a stretch. Look at the vile images coming from those in our country who are paid by him. You don’t have to shake your head in wonderment any longer. The covers have been pulled back, his followers no longer hide behind him in the dark. And we can see just how deep his tentacles go. Judges, law makers, Governors and even past President’s are in his grip. The wars and slaughter that is unbelievable in the Middle East have been orchestrated by him through his puppets like obama who destabilized the Middle East to unleash terror and a beast that crushes all things. You see he thinks they will pick up the pieces and the world will be his alone. God has other plans of course, but unlike Jesus, Soros took the deal offered by satan. And His money bought many souls. Please know the players in the times we are living in. Know that we are seeing prophecy unfold more rapidly than even a year ago. This man is very close to causing another civil war in this country. His paid protestors all the way to high ranking officials are not going away. God’s hand will soon manifest. Whole Parts of the Body of Christ have wandered after him unknowingly. The Christian genocide and persecution that has ensued is an added bonus for satan, as is the threats of annihilation to Israel. This has been satans goal from the begginning to destroy all men, especially God’s chosen. Wake up, our redemption draws closer with each passing day. Get ready, get in God’s word, for He is our only hope. So yes George Soros and a host of other prominent people are instruments of satan. Even Planned Parenthood falls in this well orchestrated great deception. As population control is one of Satan’s and Soros’ end goals. Wake up Body of Christ. We’re heading into the middle of the Great Deception. For more about Soros click here, and here. Hopefully this puffed-up satanist will be brought down by the LORD GOD, and those who have accepted blood money from this wicked man will be stopped and exposed, including both former and current political officials who are promoting and aiding MUCH blood-shed and death around the world. Let all followers of MESSIAH YESHUA+ agree together in anointed prayer that this serpent and the OTHERS LIKE HIM will be stopped and brought down in front of the whole world. There is NO victory against such as this man except through the Power and Name of the SON+ of GOD, because they are moved by the “father of lies” and his minions. Our battle is not against flesh and blood but against the forces of evil. Yes, I stand in agreement, in Jesus Name! Amen!